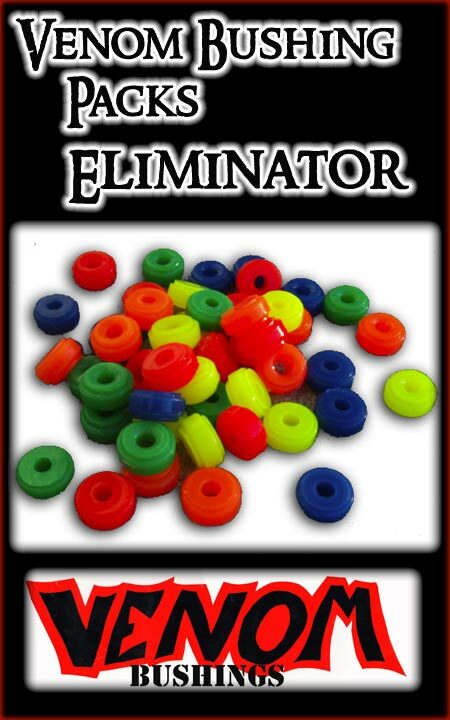 Eliminator pack includes two bushings -- enough for one truck. The stepped design allows the bushing to fit in all conventional bushing seats while the extra girth gives you greater stability and more snap-back Eliminators even have a “dish” molded in to better accommodate spherical bearings in precision trucks. Specify duro choice when ordering.